We’ve introduced a unique way of representing the amount of energy inputted into a given roast. Comparing the overall Roast Energy from one roast to the next might be a convenient metric to measure batch consistency. We also have a hunch that it may be handy for understanding milestone events by adding a dimension beyond time & temperature. 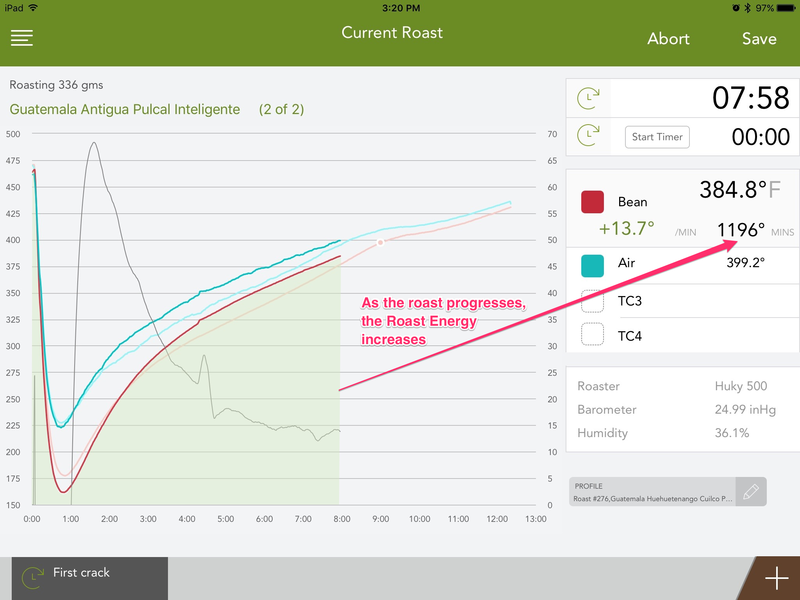 In the future, we hope that RoastLog users paying closer attention to the roast energy between key roasting events will be able to draw stronger links between flavor and roast profiles. For example, analyzing Roast Energy during the ‘Caramelization Phase’ (Maillard Reaction) or ‘Roast Development Phase’ (first crack –> drop) and comparing these values between roasts. ← Support for blind cupping is here!